Flavors filled with hints of dried fruit and a clear, expressive taste – this are the characteristics of distillates. Modern equipment used for distillation, provides high quality of the spirits. They combine perfectly with dinner with a beautiful view of the sunset sky. 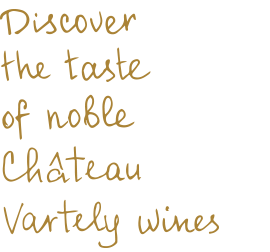 In Château Vartely, you can pick up a drink that will ideally suit your event, be it a brandy made from plums or Muscat grapes, with which you can spend a lovely evening with family or friends. Our spirits are also excellent digestives, yet you should never forget that alcohol should be consumed in moderation. According to the book by Carlo Policano “Moldova Wine Guide”, distillates sector has a significant share in the country’s economy. The most popular enterprises in this field are Aroma, Barza Alba and Ialoveni Wines.